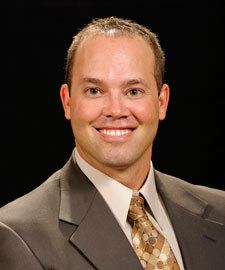 Dr. Bruch received his Bachelor's degree in Mathematics and Science from the University of Wyoming in 1998. He received his Doctor of Pharmacy degree from University of Wyoming in 2010. After working in a community pharmacy for 2 years, Dr. Bruch joined the UW School of Pharmacy faculty as the Pharmacy Practice lecturer. He also assists the Physical Assessment and Patient/Professional Interactions laboratories. X. Zhang, F. Dong, G.E. Mayer, D.C. Bruch, J. Ren, B. Culver. "Selective Inhibition of Cyclooxygenase-2 Exacerbates Methamphetamine-Induced Dopamine Depletion in The Striatum in Rats." Neuroscience. 2007; 950-958.